Drying dishes can be a drag. So why not let Mother Nature do the work for you? A dish-drying rack can save time and doesn’t even need to take up counter space, so it can make your kitchen look cleaner, faster. 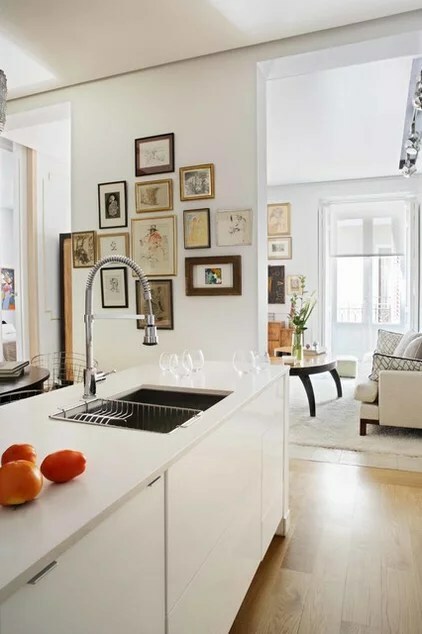 Air drying may result in a water spot or two on your dishes or glassware, but because you’re handling the pieces much less than you would if you hand dried them, they (and your cupboards) actually stay cleaner. With health and convenience in mind, here are eight ingenious solutions for drying your dishes without creating clutter. Remodeling your kitchen? Consider adding a plate rack. When you discuss this with your cabinetmaker, make sure he or she leaves slats in the bottom for drainage and ventilation; otherwise you’ll be left with a mildewy mess.Also consider placement. It’s easiest if your plate rack drips right into the sink. Dishes? What dishes? 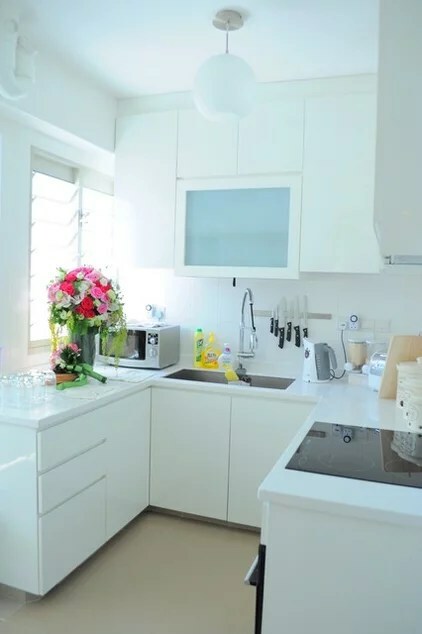 The translucent panel in this urban kitchen conceals a drying rack, so this place can look pristine within minutes after a party. 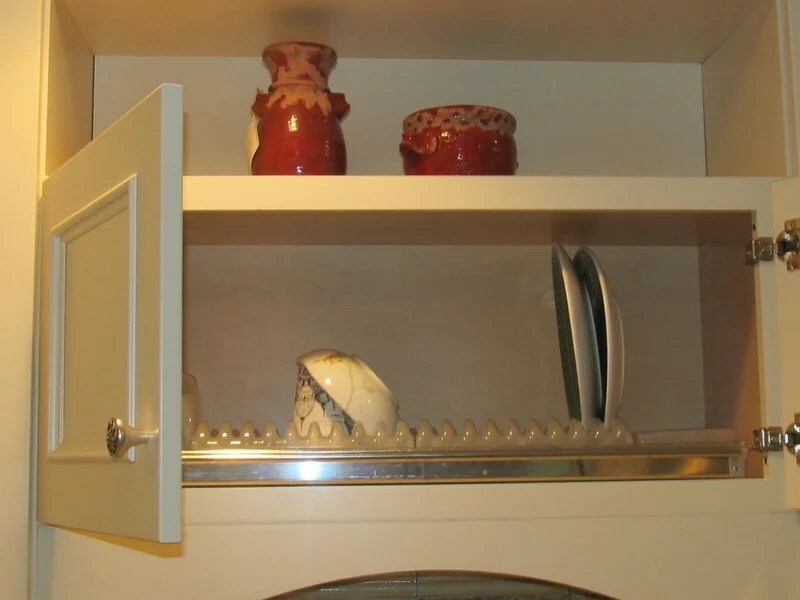 Here’s a similar in-cabinet dish rack with the door open. 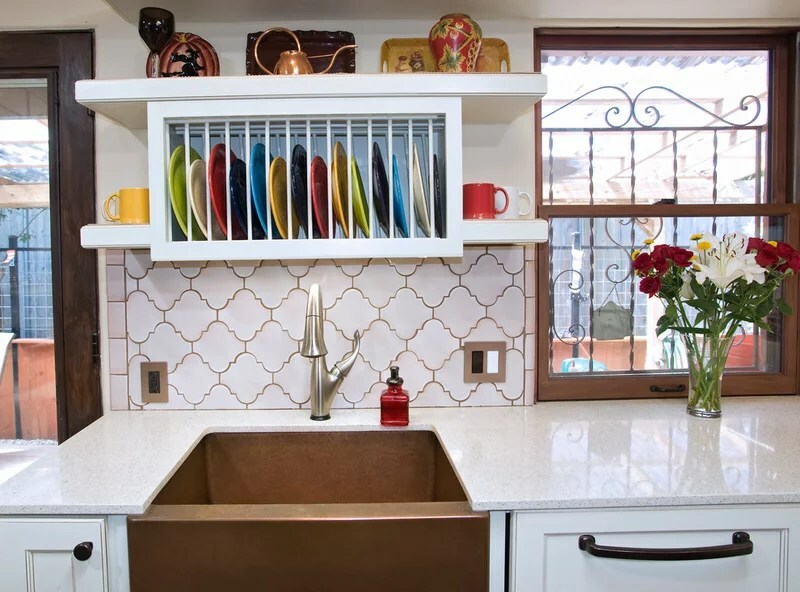 Custom wire racks set over the sink allow both dishes and glassware to drain safely.Tip: When drying dishes behind closed doors, it’s important to use a rack rather than stacking them. Stacking wet dishes in a dark environment traps moisture and encourages the growth of potentially harmful bacteria. This Italian drying rack is made to be housed inside a kitchen cabinet so your dishes dry out of sight. 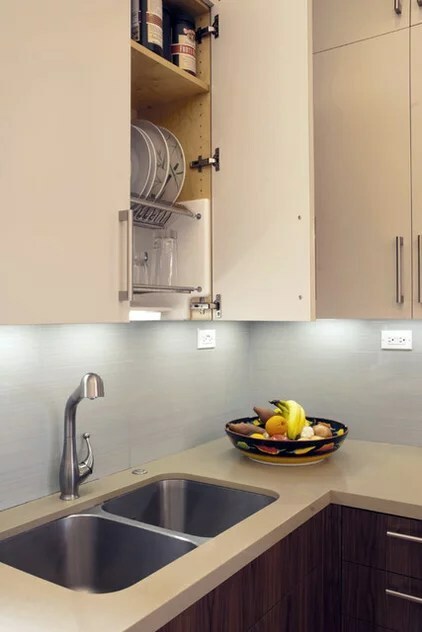 The drip tray slides out for easy emptying.This style of drying rack is hard to come by in the U.S., but you could achieve the same effect by hiding a rack with a removable tray (like this one) inside a kitchen cupboard. 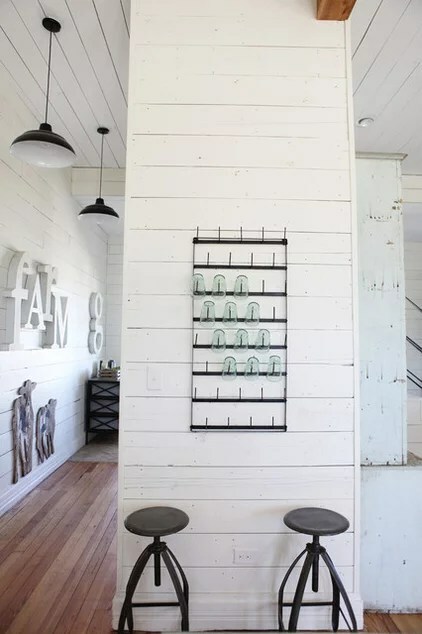 A glass rack is an easy, grab-and-go solution for thirsty guests. It also dries clean glasses effortlessly. Rustic indoor racks like this one are another quick, decorative solution.Tell us: Have a great dish-drying rack? Post a photo of your setup in the Comments!